Arranged with a bell shade, Cocoweb's Calla series of Pendant Barn Lights complement your home's décor with a designer look rich with classic style. Perfect for the nooks and crannies of your home, Cocoweb’s Calla series pendant lights are a fusion of classic style and modern technology! The Calla’s traditional bell shade adds a dash of vintage flavor to kitchens, entrance halls, dining rooms and more! Traditional Style, Contemporary Lighting The bell-shaped hanging shade of the Calla works as the perfect focal light for countertops, sinks, and anywhere in your home you need a stylish and focused lighting. 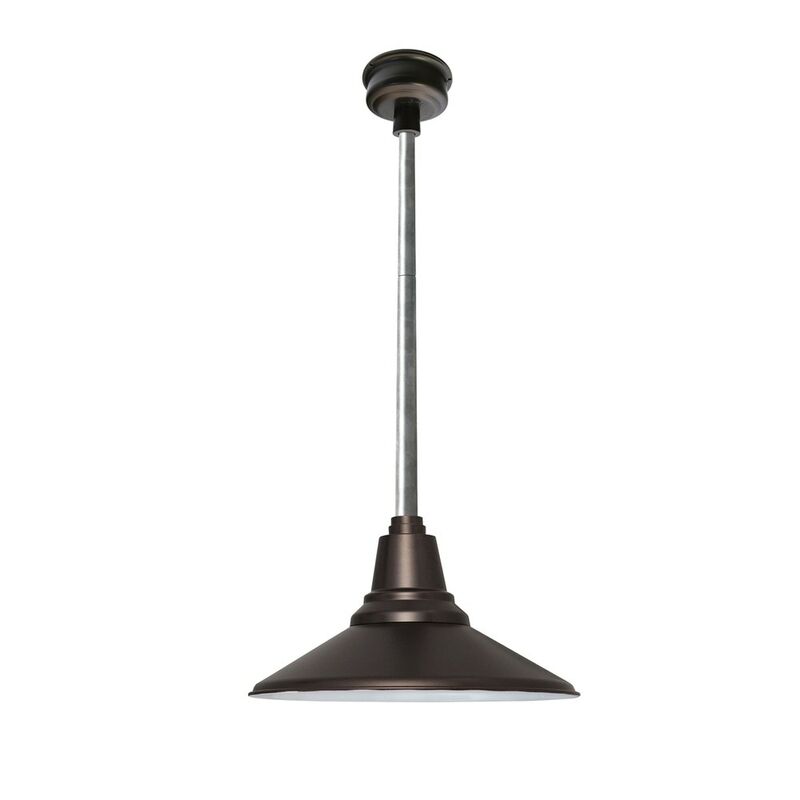 The traditional style recalls vintage barn lighting style, and the adjustable 5.5 feet of nylon cord allows for installation anywhere indoors. For an outdoor installation, the Calla can be weatherproofed using one of Cocoweb’s versatile multi-length downrods that support a length of 1 to 4 feet. Available in 4 sizes and a number of lustrous finishes, the Calla is a smart vintage solution to ceiling lighting indoors and out. LED Lighting Innovation Cocoweb’s barn lights are pre-installed with a high-tech LED lighting array for eco-friendly and natural illumination. Built around energy efficiency, this array consumes only 24 watts of electricity, shines brighter than a 100 Watt light bulb, and glows with a warm yellow color temperature of 2700 Kelvin. And most importantly of all, Cocoweb LEDs last for over 50,000 hours—with a life of over 20 years, you’ll never have to replace a light bulb again! Customer Satisfaction Cocoweb takes pride in making sure that its customers are satisfied with every purchase, and backs their products up with a 2-year Manufacturer’s Warranty.